The Patriot Battalion recruits, trains, and develops leaders of character to serve the nation as commissioned officers in the U.S. Army. Additionally, our program motivates young people to be better citizens committed to life-long service in the community. Army ROTC (Reserve Officers’ Training Corps) is one of the best leadership programs in the country and is part of your college curriculum. 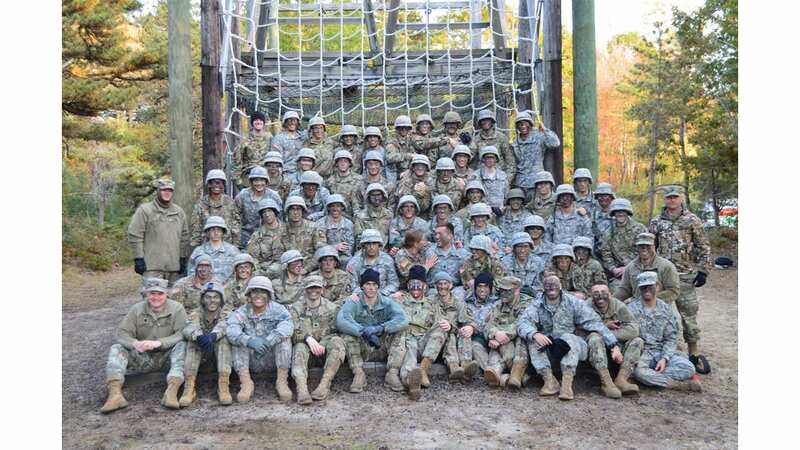 During classes, leadership labs, physical training and field training exercises, you will learn firsthand what it takes to lead others, motivate groups, and conduct missions as an officer in the Army. Upon graduation from Army ROTC, you will earn the rank of Second Lieutenant and be commissioned into the Active Army, Army Reserve or Army National Guard as a leader for life. The Patriot Battalion consists of approximately 100 Cadets from seven participating universities. We are based at Providence College and welcome cadets from Bryant University, Brown University, Johnson & Wales University, Rhode Island College, University of Massachusetts at Dartmouth and Community College of Rhode Island.